Cobb Valley, Golden Bay. Photo: Craig Potton. Short meetings beat long ones. I’m probably not alone in thinking that. So the thought of a three day meeting would normally leave me cold. But having just returned from one of Forest & Bird’s “Island Gatherings”, I can say there are exceptions. The gatherings aren’t the usual tea-and-biscuits, spend 10 minutes waiting for Skype, let’s talk about how we should all be “moving forward” – type affairs that many of us may be used to. Gatherings are held for the North and South Islands every year. They are attended by Forest & Bird members, branch committee reps, staff, and board members. These meetings almost defy description. They’re where ideas are thrashed out and knowledge is shared. They remind people why we care so deeply about conservation. And yes, there’s never any doubt about what people think about the more controversial topics. That’s to be expected in a room full of people dedicated to the protection of our natural heritage, at a time when it is under serious threat (although when has it not been?). But to use my favourite cliché, the gatherings are more than the sum of their parts. You would have to be pretty indifferent not to have come away from this year’s South Island Gathering in Golden Bay without grave concerns around the extent and urgency of the conservation work that needs to be done. But at the same time, it would have been hard not to be buoyed by the determination and thoughtfulness of the people doing that work. The highlights this year? Some of these were also lowlights, like the story of the bar-tailed godwit. Every year the birds fly from New Zealand to Alaska. They layover in China for refuelling. But something – a giant reclamation project, or DDT perhaps – is decimating the small marine animals the godwits eat while in China. This is going to have serious impacts on the species –they’re not about to just start using another beach. Fortuitously, the story of the battle with the Trifford-like pest vines of Golden Bay proved no conservation challenge is too great. And a talk on what is known – and not known – about Golden Bay’s incredible aquifers was uplifting, despite the warning that only a small change in the characteristics of the water entering the system could make it all go haywire. It’s a shame more people won’t get to hear Graeme Elliot’s talk on the science of 1080. It left me in no doubt that it’s high time that the money that goes into trying to find the mythical and elusive “alternative” to 1080 should be spent instead on just getting on with the job, with the best tool we have. .. before it’s too late. 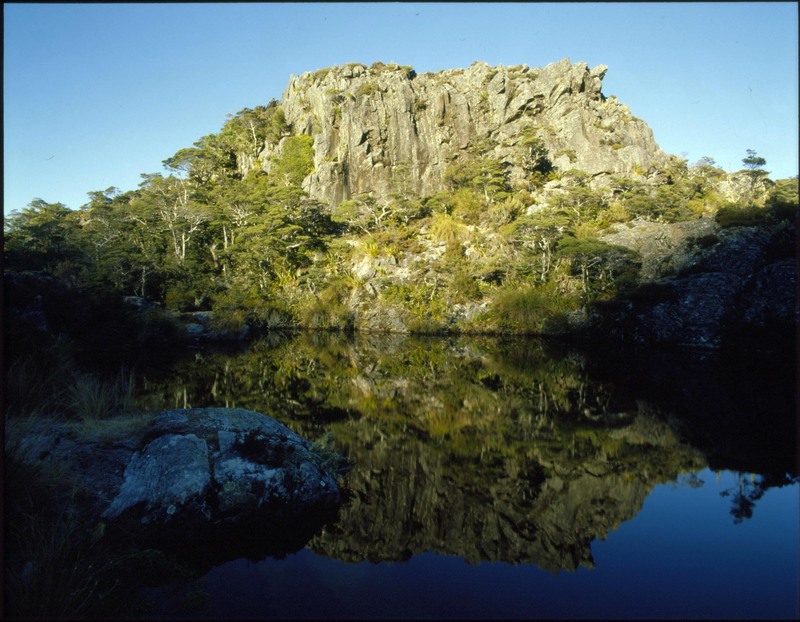 Project Janszoon, which is made possible by the extraordinary generosity of just one couple, is doing great work in restoring the Abel Tasman National Park. But what I found particularly interesting is that Janszoon is using new communications technology to bring the park alive for those who can’t be there in person. This year’s South Island Gathering was notable in one other respect. The catering. Gingernut fans would have been disappointed. Instead, there were mussel fritters and cheesecake, courtesy of the Onetahua Waka Ama Club, and wine, courtesy of Yealands. The 2014 North Island Gathering will be held at Forest & Bird’s Ruapehu Lodge between October 31st and November 2. Take a look at the programme. If you’re not a member of Forest & Bird, then it’s worth joining just for the sake of being able to go. Your idea of what a meeting can amount to will never be the same again.